Your presentation is finally ready and you want to send it to your teacher as a PDF. The fastest way is with click.to; Simply highlight the entire text, CTRL + C or right click -> press and copy to click.to. 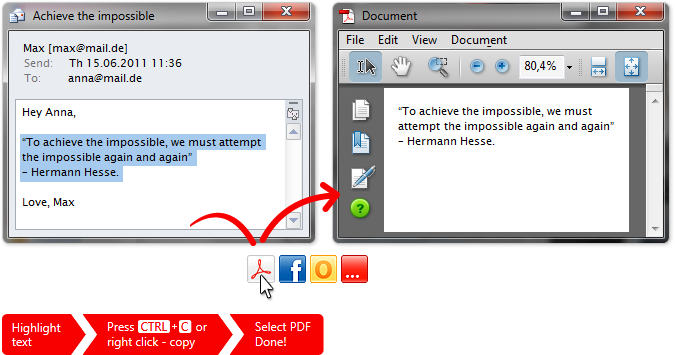 The “PDF” function automatically adds your text to a PDF document that you can send many times over.